Test your rotational grazing knowledge by taking the Grazing Strategies Quiz. Select the radio buttons with the best answers. Once selected, answers cannot be changed; but you can reload the quiz at any time to start over. Roll your mouse over the 'Hint' buttons below each question for additional clues to help you answer each question. Or, click on the images to read related articles to help you with the questions. Your score will be calculated automatically when you click on the 'Final Results' button at the bottom of the quiz. Have fun and come back as often as you like to retest your grazing skills. 1. As a cow/calf producer, what three management changes can you make that will have the greatest positive impact on your production costs? 1. Implement a daily pasture rotation; 2. Shift the calving season into the growing season; 3. 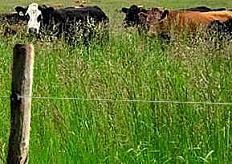 Extend the rotational grazing season as long as possible after the growing season ends. 1. Split your cattle herd by age group and nutritional need during the winter; 2. Always maintain an emergency feed reserve; 3. 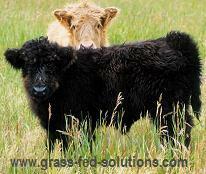 Wean early if your cow herd is losing body condition too rapidly during winter grazing. 1. 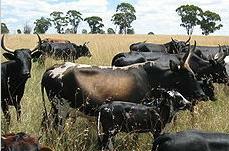 Select only the most fertile and most efficient cattle for your breeding herd; 2. 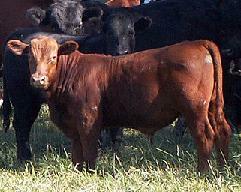 Select cattle breed(s) that are suited to your climate and match your production and marketing strategy; 3. Shorten your breeding season to 42-days. 1. Cull all cows that needed any assistance during calving; 2. Use compensatory gain to improve cattle weight gains in the spring; 3. Use body condition scoring as a tool to monitor the health and body fat reserves of your cattle. You should work with a livestock nutritionist to calculate the mineral and nutritional supplements that will help you extend your winter grazing season. Monthly forage sampling is one of the most important grazing management tools in a grass-fed producer's tool box. Forage sampling allows your livestock nutritionist to calculate how quickly each age group in your cattle herd is likely to use up their body fat reserves and reach the lower limit of the safe body condition score range. Forage sampling only needs to happen during the winter when pastures are not growing. when the forage quality of your winter pastures deteriorates too far to continue your winter rotational grazing program. how quickly your cattle will lose body condition during your winter grazing program. what supplements to provide during winter grazing in order to continue your winter pasture rotation. When individual cattle lose body condition faster than the rest of the herd, wean these individual cows from their calves and remove cows (instead of their calves) from the herd. Calve in late winter or early spring, before the growing season begins, so that calves can be weaned in the fall before the winter grazing season begins. Separate your cattle by age group during winter grazing if different age groups require different supplement programs to keep them healthy (i.e. Mature cows vs. First-calf heifers vs. Second-calf heifers, etc). Wean early to reduce the nutritional demands of the cows if the cow herd is losing body condition too rapidly. You use your grazing herd as a tool to prevent your pastures from going to seed. You never graze your pastures shorter than 6 to 10 inches during the growing season. You can feed a little hay or silage during the growing season as an emergency measure to prevent your grass from being grazed shorter than 6 to 10 inches. Prepare your pastures for winter grazing. Maximize grass consumption when grass is plentiful during the growing season. Fatten as many of your cattle as possible before the growing season ends. Graze each pasture as short as possible before moving on to the next pasture so that no grass goes to waste. 8. Choose the calving season that will provide your grass-fed cow/calf herd with the best nutrition to suit their ever-changing nutritional needs throughout the year. This calving date will reduce your production costs, improve conception rates in your breeding herd, and allow you to safely extend your cattle grazing season deep into the winter months. Fall calving, near the end of the growing season. Calving scheduled to start at the same time as the start of the growing season. Calving scheduled to start three to four weeks after the start of the growing season to give the cows time to fatten up on grass before calving begins. Late-winter or early spring, before the growing season has begun. Do not allow your herd to graze the growing grass shorter than 6 to 10 inches in height. You can let cattle travel across previously-grazed pasture slices to reach a central drinking water source. Always use daily grazing slices so that the cattle get a fresh slice of pasture every single day. Your grazing rotation should speed up or slow down in order to prevent the grass from reaching maturity and going to seed. Prepare your winter pastures with grass that is tall enough to protrude through the surface of the snow. Save your highest quality winter pastures for when you need to train your cattle to graze through snow. Provide access to many days worth of pasture at once so the cattle can spread out in their search for grass under the snow. Move cattle to a fresh new slice of pasture every single day.